9dollarperhead.com comes up in a lot of gambling reviews, due to the interest in this site. 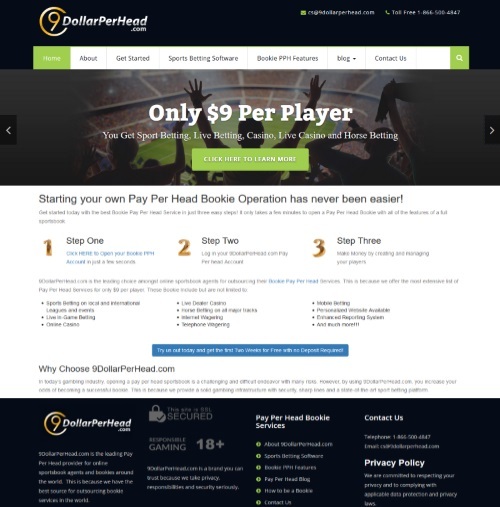 9dollarperhead.com claims to be one of the top pay per head providers. 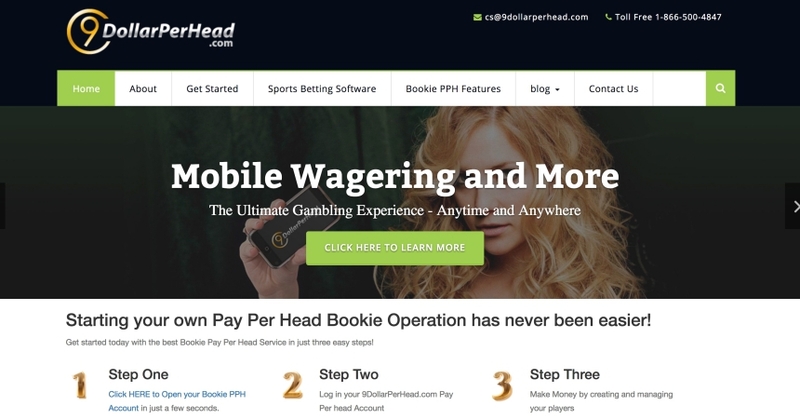 With a wide range of services being offered by this provider, one will able to have their own sportsbook for the price of, well, 9 dollars per head. Is the 9 dollars per head a guarantee of an affordable rate only, or does it also guarantee quality outsourcing of an offshore pay per head service? This review will look at the process, the software, and the whole experience of using their services. Their website does include a complete list of their services, and the pages are all easy to understand. If you are looking for a PPH Bookie, then this is a great site to consider in terms of the wide range of services they offer. They pride themselves with being a great offshore sportsbook, which means that as a bookie, you can widen your current list of players. Expanding markets means increasing profits. And since they are an international-operating company, they have their website accessible in different languages from the top betting markets across the world. Looking at the history of their services, one could see that they have added a lot of features over the years. This allows them to remain competitive in the sportsbook industry. But they did not do so lightly – they made sure that they have what they needed before expanding their services to provide a seamless and secure experience for their users. When we registered to open an account with their site, it was easy. We created our profile and within a few seconds, we were ready to operate our sportsbook. The site itself was easy to use. Whatever we needed, we could easily find, and the software was working fast and smooth. There was no lag or delay, and the pages open fast. Of course, we went through the process of adding players and such. What we liked about the service, is that when they say they have a call center on standby, they do have a call center agent ready to take care of your concern, bookie or player. Looking from the perspective of the player, the site was easy to use. A bit plain, but that we can overlook since it makes it easy for people to find what they need. Price wise, the 9 dollars is medium-high in the price range. It is not too expensive, and the services more than pay for the value of their fees. 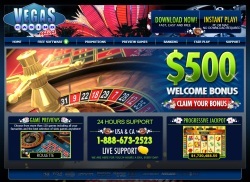 The multiple languages being offered also allows bookies to expand to foreign markets. The best thing about this, is that despite the different time zones, players everywhere have the support they need in case they have any questions. As a bookie, this definitely saves time and effort. It also makes bookie promote a professional atmosphere to their players. Given the price of 9 dollars per head, the service is excellent. They are relatively new, compared to other pay per head providers that we have seen but have still been in business for quite some time. Despite this, they are able to compete in terms of their offerings. They are a great site to sign up with and is well worth the price. gets the job done easily. this review is accurate because the site is simple but has everything you need in your bookie business. players are happy with the site also.